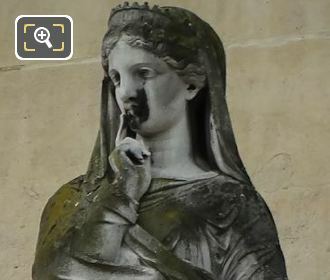 Again we were at the Musee du Louvre in the 1st Arrondissement of Paris admiring the facade of the Pavillon des Etats, when we took these high definition photos showing the statue called La Prudence by Jacques Leonard Maillet. 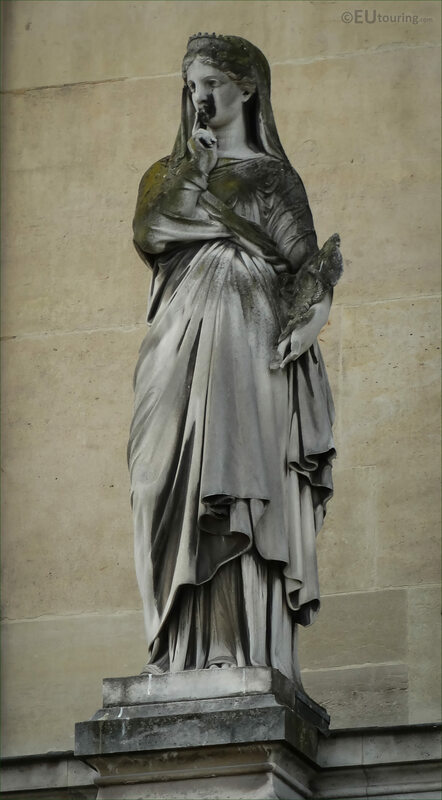 It was during the Second Empire when there was a large project for decorative public works put in place to provide additional decorations to popular tourist attractions and historical buildings. 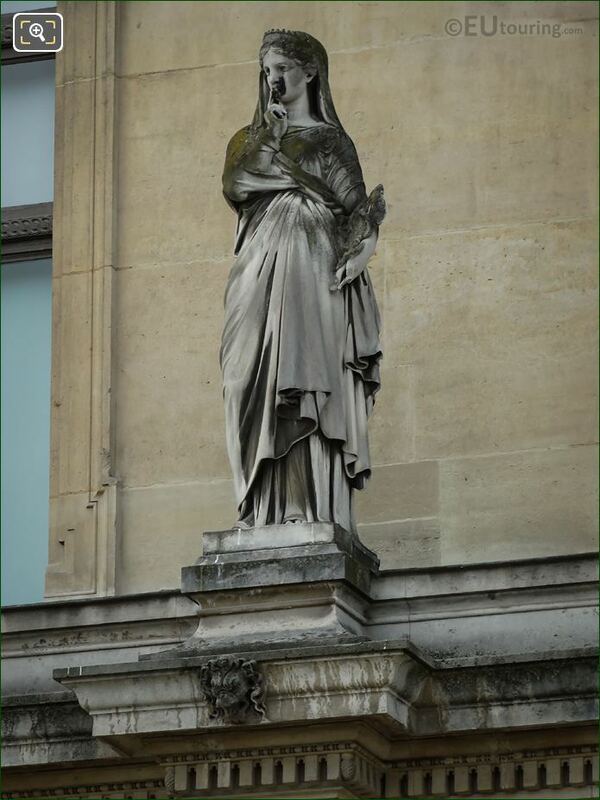 Now this particular stone statue of La Prudence is an allegory that is located on the Pavillon des Etats wing of the former Palais du Louvre, which can be seen on the first level balustrade of the facade when you are standing in the Cour du Carrousel courtyard, facing towards the River Seine. 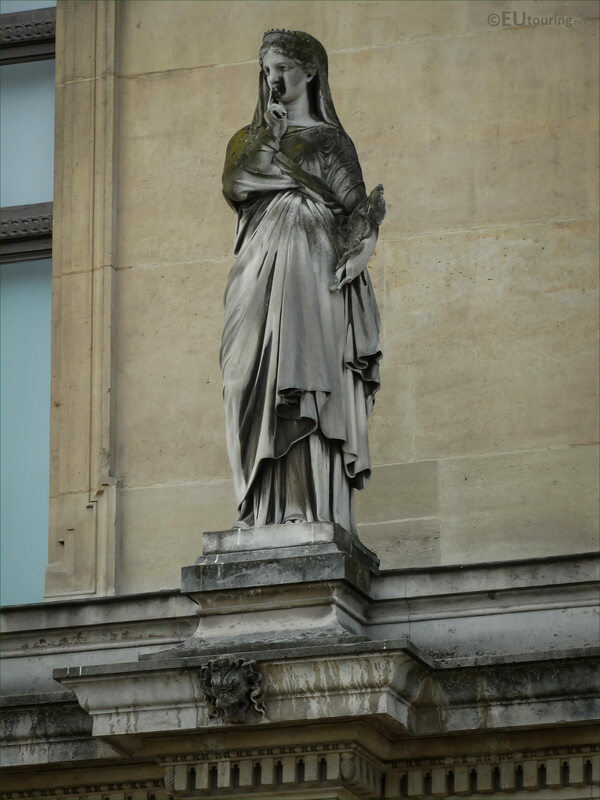 And this was produced by Jacques Leonard Maillet who was born in July 1823 and became an academic sculptor, winning the Prix de Rome in 1841, and after spending time studying in Rome he returned to Paris where most of his commissions were for the decorative embellishments like the statue of Prudence you can see in this HD photo.